The group of activists from the Rajput community raided the Jaigarh Fort, and force-stopped the shooting. 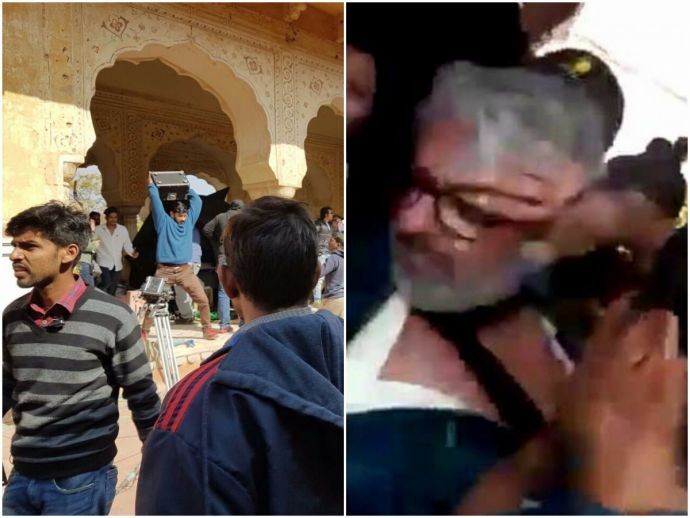 National award winning director Sanjay Leela Bhansali was slapped and punched on Friday, by the members of Karni Sena in Jaipur on the sets of his upcoming film, Padmavati. Reportedly, the group of activists from the Rajput community raided the Jaigarh Fort, and stopped the shooting. According to the Indian Express, the reason behind the so-called “protest” was that the protesters heard that the film will have Deepika Padukone (who plays Rani Padmini) having a romantic dream sequence with Ranveer Singh (portraying Ala-ud-din Khilji). While we don't know if such a sequence is actually planned, but one thing is for sure, taking law in our hands is a criminal act, not a protest! Having been through many instances of turmoil during a film shoot or release...i understand Sanjay's emotion at this point...I stand by him. Padmavati is based on Ala-ud-din Khilji's desire to capture the beautiful and legendary queen of Chittor, Rani Padmini. Padmini was the wife of the ruler of Mewar, Rana Rawal Ratan Singh. The movie features Shahid Kapoor, Deepika Padukone and Ranveer Singh in the leads and is a joint venture of Bhansali Productions and Viacom 18. The movie will release on November 17, 2017.